Email us to reserve your place on this on-demand, start any time course! This course that takes you through the fundamental tools for building consistently high quality, on cue behaviours using a clicker. 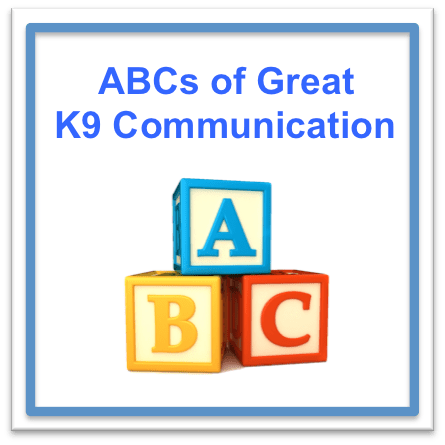 ‘Learning your Alphabet’ teaches you the essential building blocks of great communication with your dog. This can be likened to the use of excellent punctuation, grammar and syntax in place of poor spelling, aberrant apostrophes and grammatical errors. how do I avoid anticipation? how do I deal with errors? how do add and change a cue to a behaviour? This course is highly recommended for anyone wanting to learn solid foundation skills for great communication. The course is suitable for those with clicker experience who wish to improve foundation skills as well as novice trainers. This course is on-demand and can be started any time. Work at your own pace. Completion must be within six months of starting the course, when learning support will cease. Cost including lessons and ongoing learning support £275. Time required 2-3 hours per week. Still not sure if this course is for you? Check out our testimonies page and see what other students have to say. For further details please contact Nando Brown at nando@inthedoghousedtc.com or Kate Mallatratt at kate@contemplatingcanines.com.